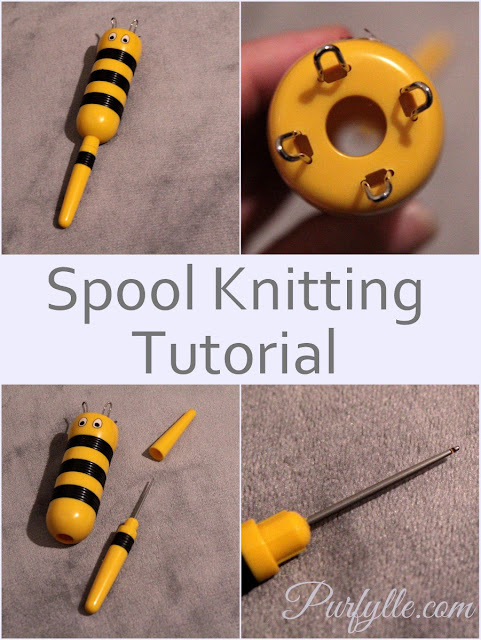 Spool knitter: also know as French Knitter, Knitting Nancy, a knitting doll or like mine, a knitting bee. repeat steps 5, 6 & 7 on the next peg and then the next peg and so on. 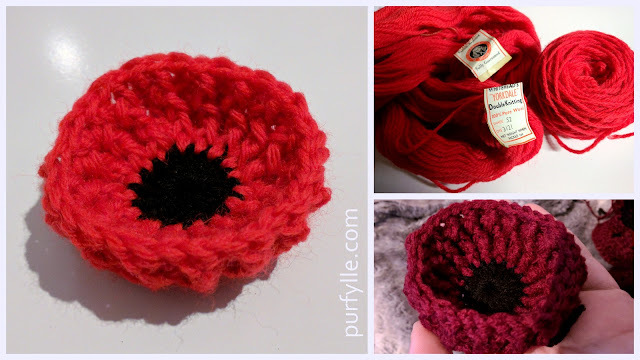 Tips: tug on the yarn end that comes out the bottom every few loops. 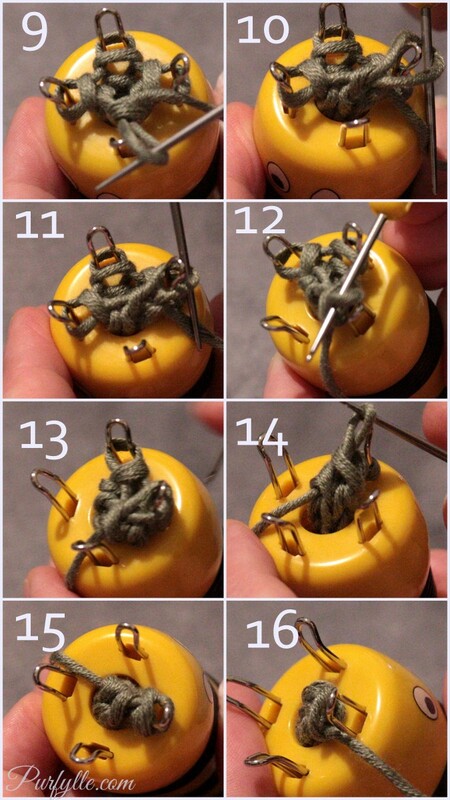 This helps to keep your project tensioned nicely and moving down through the centre of your knitting bee, errr spool, your knitting spool. Instead of wrapping your yarn around the outside edge of your peg, loop the yarn around the same way you did in the first 4 steps. This gives a different finish to your project and it is easier to lift the loops over the peg. 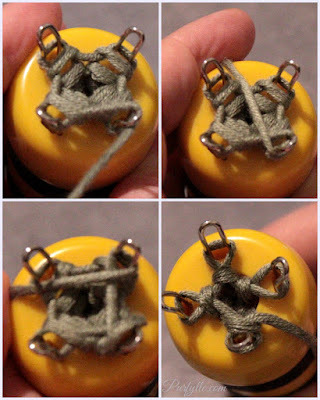 Try alternating a row of wrapping around the peg and a row with the yarn looped on the outside of the peg. In the above picture all three finishes are shown. The top green cord is the first method and bottom green cord is the second, the black cord is alternating between the two methods. To finish lift the loop from one peg to the next and lift the bottom loop over the top loop. 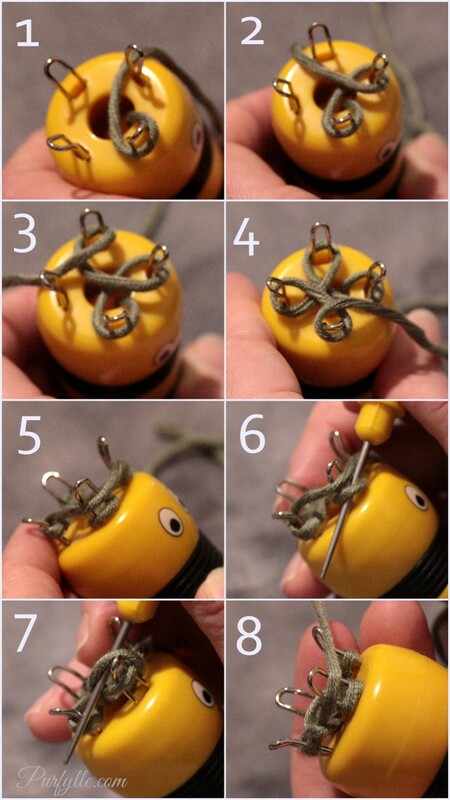 Then lift that loop to the next peg and so on. 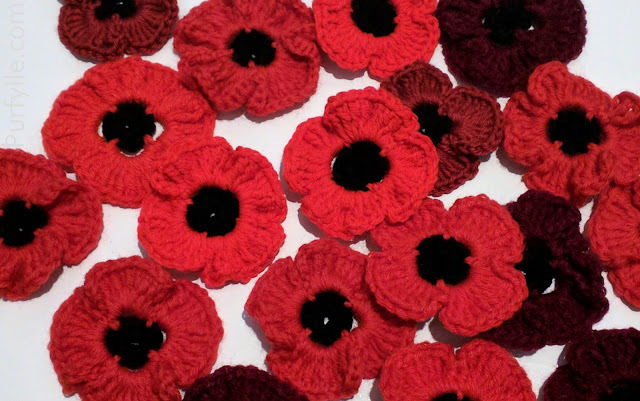 For the final loop cut the yarn and pull it through the centre of the loop and your done. 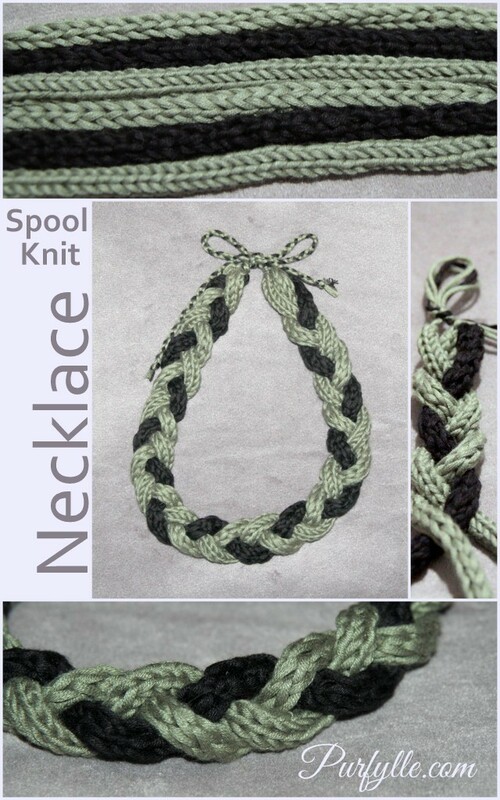 I decided to make a necklace with my spool knitting. I tied a slip knot in one end to secure the ends together then plaited the three different cords types together, this gives a wonderful textural difference don't you think? Then I undid the slip knot and plaited the yarn ends together finishing off with a simple knot.